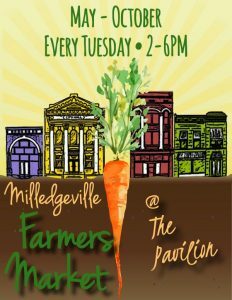 The Farmers Market is open every Tuesday, May – October and is located in downtown Milledgeville, next to the Golden Pantry, at The Pavilion. Sign up for the monthly Farmers Market newsletter for the latest information & #farmfresh info! Are you interested in being a Farmers Market vendor? Get vendor rules and an application here. 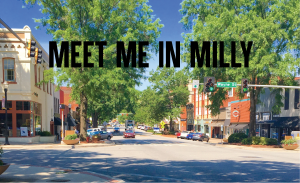 For more information or questions about the Farmers Market Vendor Application, contact Amy Davis at Milledgeville Main Street by phone 478-414-4022 or by email adavis@nullmilledgevillega.us.